Jack Welch says that it is enormously powerful in an organization, and that people will not do their best without it.1 Management guru, Warren Bennis, calls it the major leadership challenge of today and tomorrow. 2 Why is trust so important? How can managers build trust? Interpersonal trust promotes creativity, conflict management, empowerment, teamwork, and leadership during times of uncertainty and change. A culture of trust is a valuable asset for the organizations that are able to develop it. Characteristics of trustworthy managers include integrity, reliability, fairness, caring, openness, competence and loyalty. Organizational actions and policies that promote a culture of trust include investing in employees, promoting open communication, behaving in an ethical and socially responsible manner and providing a measure of job security. Whether it was due to incompetence, a political agenda or unconscious bias, Dan Rather has undermined viewers' trust in him and CBS News. Earlier this month, Dan Rather announced that CBS News was in possession of documents that portrayed President Bush's service in the National Guard in a very unfavorable light. CBS News' efforts to authenticate the documents were very poor. 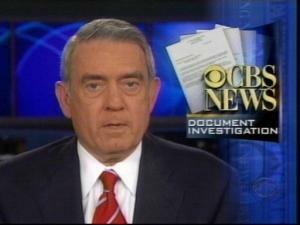 It will be difficult for CBS News to retain Dan Rather as their anchor because news reports are only useful to the extent that we trust the source. Rather exacerbated the problem by qualifying his apology for the false reports. He argued that even though the documents in question are fakes, the thrust of the story (that Bush received preferential treatment while in the Guard) was correct. Excuses don't repair trust; sincere apologies and reparations do. Trust is an expectation that another party will not allow you to be harmed at a time when you are vulnerable. Your willingness to trust another party is affected by your history with that party and your personality. To a large degree, trust is a history-dependent phenomenon. Obviously, we cannot trust strangers as much as we can trust people we have long-standing relationships with. As we become more familiar with an individual or a group, we gradually allow ourselves to be vulnerable to them. We share our personal concerns. We will do a favor for them because we expect them to be willing to return it one day. We rely on the information they give us to make decisions that we are held accountable for. As long as no injury comes from that vulnerability, our trust increases. However, some individuals and groups violate our trust. We allow ourselves to be vulnerable, and they take advantage of us or let us down. The information they provide to us proves to be unreliable or misleading. They use the information we share with them in a way that harms us. As a result of our distrust for that party, we are less inclined to cooperate with them, we have to verify what they tell us, and we are careful not to share too much information with them. The propensity to trust others is also a personality trait. Aside from our experiences with other parties, some of us tend to generally be more willing to trust others. At one extreme, some people are too cynical or controlling and therefore unwilling to trust others. At the other extreme, some people are naïve or gullible. Of course, most of us are willing to exhibit some trust of others until given a good reason not to. As Jack Welch indicates, trust in organizations is enormously powerful. Individuals who trust the people they work with are self-assured, open and honest, willing to take risks, less resistant to change, and inclined to act in a trustworthy manner. Trust is empowering. In contrast, individuals who distrust the people they work with tend to be less productive because they feel unsupported and alone, they do not believe what they are told and therefore often do not listen, and they must take time to corroborate what they have been told before they can believe it. A major advantage to interpersonal trust is information sharing and collaboration. When people trust that they will be given credit for their ideas and that sensitive information that they share will be kept confidential, they are more inclined to discuss their creative ideas and personal goals and concerns. Such an open environment is the ideal context for developing innovative ideas and resolving conflicts with "win-win" solutions. Managers who trust their subordinates are more inclined to delegate tasks to them, and subordinates who trust their managers are more comfortable taking on the additional responsibility even when there is some risk of failure. Such subordinates know that their mistakes will be treated as learning opportunities rather than threats to their careers. Trust is fundamental to leadership during times of change and uncertainty. Leaders who have established trust among their followers are able to direct them with less resistance. On the other hand, it is much riskier to follow a leader that you do not trust when you are in unfamiliar circumstances. Followers go above and beyond the call of duty for leaders they trust. Followers only do what they have to for leaders they do not trust. You can see how valuable it is to have a high level of trust throughout an organization. Trust is part of an organization's "social capital," and can be a very valuable intangible asset. Social capital promotes cooperation, commitment, extra effort, continuous improvement and information exchange, which can all help an organization survive and achieve a competitive advantage. Thus, it is well worth the effort to build a culture of trust. Integrity. Exhibiting basic honesty and moral character are keys to demonstrating that you are trustworthy. A person of character can be trusted to do what is right even when there is "no controlling legal authority" because they are guided by internal standards. Reliability. Trustworthy people are consistent, dependable and stable. Their actions are congruent with the values and principles they espouse. They keep their promises. Fairness. Being fair means making unbiased decisions and not taking advantage of people just because they are in a weaker bargaining position. But, being perceived as fair also requires managing others' perceptions. In order to be perceived as fair, a manager should make standards clear and take the time to explain decision-making processes to the people affected by them. Caring. We have all been taught to make rational business decisions and to not let our emotions bias our decision-making processes. Rationality is important, but emotions shouldn't be completely ignored. The most trustworthy managers are the ones we can talk to about our worries and frustrations because they care. In contrast, impervious managers show they have no interest in hearing about what concerns us, and we do not trust or feel close to them. They treat us like nonhuman resources, and we will not go above and beyond the call of duty for them. Openness. Trustworthy managers keep confidences, but they do not keep harmful secrets or have hidden agendas. Open information sharing is a reciprocal process. We tend to withhold information from people who seem to resist opening up to us. Competence. Trustworthy managers perform their roles competently. Subordinates do not put their faith in incompetent managers, even if those managers are fair and caring. Loyalty. Trustworthy managers also show through their actions that they are willing to protect and defend their subordinates when they make mistakes or during times of crisis. This kind of trust is particularly important during times of innovation and change because of their inherent risks. Invest in employees. Provide training and development experiences for employees. Provide benefits packages that symbolize a concern for employees and their families, such as maternity/paternity leave and elder care. Promote open communication. Practice an "open door" policy that permits all employees to share their concerns with management. Regularly survey employees to obtain their input and respond to the survey's findings. Behave in an ethical and socially responsible manner. By taking the initiative to be a good corporate citizen, organizations demonstrate integrity and caring. Provide job security. Layoffs breed distrust. We invest a certain amount of our careers, psychological identity, and personal lives in the organizations that we work for. Such investment leaves us vulnerable. It may be impossible or unwise for employers to offer employees lifetime employment (tenured faculty notwithstanding). Nevertheless, reasonable efforts to ensure a degree of job security will promote trust. For the sake of trust, organizations that need to reduce their workforce should consider alternatives to layoffs even if they are more expensive. When trust has been violated in an important relationship, it should be repaired. In short, the process of repairing trust requires the "violator" to apologize, ask for forgiveness, and make reparations. Not all relationships survive violations of trust. The "victim" has to believe that the benefits of being in the relationship justify the work required to repair the trust. Victims often find that it makes more sense to develop entirely new relationships by, for instance, requesting a transfer or leaving the firm. However, if the victim (a) is willing to put in the time and energy, (b) perceives the potential value derived from the relationship, and (c) does not have better options, the following steps will help violators repair the trust that they have damaged. Acknowledge that a violation of trust has occurred. Determine, from the victim's perspective, the exact nature of the violation and what event caused it. Accept responsibility for the violation. Debating or denying responsibility impedes repair. If the apology is perceived as incomplete or insufficient, repeat steps 1-4 above. If the victim thinks the relationship is not worth it, spell out the potential value to be derived from the relationship. The victim grants forgiveness, but asks for unreasonable reparations or other terms for reestablishing the relationship. If this happens, the relationship will end unless mutually acceptable conditions can be negotiated. The victim grants forgiveness and specifies reasonable acts of reparation. As long as the violator carries out the acts of reparation in a manner that indicates he or she is sincere, trust will be repaired. The victim grants forgiveness and indicates that no further reparations are necessary. This, of course, indicates successful repair of trust. Trust is too valuable an asset to be taken for granted. It's very difficult to negotiate organizational change or do collaborative work without it. While it may take weeks, months or years to develop it, a single violation can damage it. Fortunately, trust can be repaired if the violator will own up to it and make reparations. 1. Anonymous. (1993). Jack Welch's lessons for success. Fortune, 127(2): 86-93. 2. Hodgetts, R. M. (1996). A conversation with Warren Bennis on leadership in the midst of downsizing. Organizational Dynamics, 25(1): 72-78. 3. Based on Lewicki, R. J. & Bunker, B. B. (1996). Developing and maintaining trust in work relationships. In Trust in organizations: Frontiers in theory and research, R. M. Kramer & T. R. Tyler (Eds. ), pp. 114-139. Thousand Oaks, CA: Sage. Konovsky, M. A., & Pugh, S. (1994). Citizenship behavior and social exchange. Academy of Management Journal, 37(3): 656-669. Kreitner, R. & Kinicki, A. (2001). Organizational behavior, (5th ed.). New York: Irwin McGraw-Hill. Leana, C. R. & Van Buren III, H. J, (1999). Organizational social capital and employment practices. Academy of Management Review, 24(3): 538-555. MacKenzie, S. B, Podsakoff, P. M., & Rich, G. A. (2001). Transformational and transactional leadership and salesperson performance. Academy of Marketing Science, 29(2): 115-134. Robbins, S. P. (2001). Organizational behavior, (9th ed.). Englewood Cliffs, NJ: Prentice Hall. AP Photo, e-mailed to me September 29, 2004 from Yahoo! News (http://news.yahoo.com). A woman was walking down the street when she saw a man walking a three legged pig. She thinks to herself, "That's odd." She decides to ask the man about the pig. "Excuse me sir, can you tell me why it is you are walking down the street with a pig that only has three legs?" "What makes it so special?" the woman asks. "Well, the other day, we came across a school bus full of children that had flipped over in a ditch and this pig ran down and dragged all of the children out to safety. And just a few days ago, I fell into the lake and would've drown had it not been for this pig going in to save me."